*Check out our Free 2013 NFL Draft Guide! 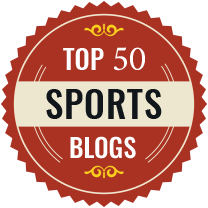 Follow Steve on Twitter or Google + for news about Steve’s 2013 NFL Mock Draft picks, East-West Game Coverage and coverage of the 2013 Senior Bowl. About The Pick: Luke Joeckel is the top offensive tackle in this draft and has elite upside. He has top 5 ability, that is on par with some of the top OL drafted in the last 10 years. Joeckel displays both power and agility that are great with the potential to be elite. He is at his best as a blind-side pass defender, but is strong against the run as well. Steve’s Take: Kansas City decided to go the veteran route for quarterback, which leaves this pick pretty wide open. With Branden Albert only under control for one more year, and probably a better natural fit at RT, the Chiefs should go with Joeckel with this pick. He offers great impact and certainty, as well as filling a major need. About the Pick: Geno Smith is the best quarterback in a fairly weak class. He does offer good arm strength and decision-making ability. He has good functional mobility, and should be able to buy time in the pocket. He may never be an elite quarterback, but should be a very effective quarterback at the next level. Steve’s Take: The Jaguars could take one of the many premier pass rushers here, but don’t be shocked if they grab quarterback Geno Smith here. They are desperate for a quarterback, and with young weapons like Justin Blackmon and Cecil Shorts, they need a quarterback capable of getting them the football. Smith isn’t a star like some other recent QB’s, but he could develop into a very good quarterback. I am just not buying the rumors they go Eric Fisher here, RT is a need, but so is quarterback. About the Pick: Floyd has elite tackle ability and plays both the run and pass very well. His strong suit is getting penetration in the backfield and being a disruptor. He should really help bring pressure up the middle, which will prevent quarterbacks from stepping up. Steve’s Take: The Raiders need a lot of help and could go with just about any position here. In fact don’t be surprised if they trade back as they desperately need to stockpile cheap young talent. Assuming they keep the pick, I think one of four positions make the most amount of sense. An edge rusher to boost the anemic pass rush, a defensive tackle to replace their free agent losses, a corner given their weak secondary or a guard to help bolster their impressive offensive line. With Floyd on the board here, and guard probably the fourth concern, I think they begin the rebuilding process of the interior of that line. About the Pick: Fisher is a pure left tackle in that he grades out well in every area you could ask for. He’s got quick feet, good punch, great anchor and excellent length and size. He should quickly develop into a top tier left tackle who is very capable in both run and pass blocking. With a great Senior Bowl week, Fisher is now clearly the number two tackle and should go in the top 10. Steve’s Take: The Eagles could go a couple directions here, but don’t rule out the Eagles grabbing Dion Jordan who played at Oregon for coach Chip Kelly. In the end though I think Kelly will want to boost the offensive side of the football with an impact offensive lineman. Kelly wants to run the football and the best way to do that is by ensuring the line is as strong as possible. About the Pick: Johnson is a bit more raw than either Joeckel or Fisher, but he’s really come on this past season and offseason at the Senior Bowl and Combine. He won’t offer as much immediate impact, but he should be a good starter, and has the potential to eventually develop into an elite tackle. He’s extremely athletic and is right now more advanced as a pass blocker over a run blocker, but has been improving in closing the gap. He’s a top 15 talent in this draft. Steve’s Take: The Lions are going to go one of two ways with this pick either adding an offensive tackle or a pass rusher. While this is a slight reach the Lions simply have to protect Matt Stafford if they have any chance of succeeding. Lane Johnson does just that. About the Pick: Milliner is the top corner in this draft, he displays great size, speed and coverage ability. He’s got the upside to be a number one corner, and shadow some of the top receivers in the NFL. He’s very pro ready playing in the SEC and in Nick Saban’s defense. Steve’s Take: The Browns have added a lot of front 7 help in free agency. While I wouldn’t necessarily put it past them from making a value pick here with another pass rusher or top defensive lineman, I think Cleveland will go in another direction here. If Dee Milliner is on the board, they will have the complement to Joe Haden that they are looking for. Trading back is also very much an option. About the Pick: Warmack is the top rated guard in this draft class, he’s strong at point of attack and maintains very good leverage. He excels as a run blocker, though should hold up very well as a pass blocker at the next level as well. Warmack is a plug and play guy, who will make teams forget the fact that they typically don’t draft guards in the top 15 picks. 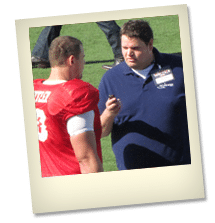 Steve’s Take: The Cardinals are pretty desperate to get an offensive tackle in this draft, but without moving up that might not be a possibility. A consolation prize for them would be taking the best guard in the draft. About the Pick: Jordan is one of those “freak” athletes who will find a place in any system, but he’s best suited as a rush backer in a 3-4. He has some elite potential, though is a bit unrefined overall. While he flashes in all areas of his game his strength is getting after the quarterback. Steve’s Take: This is a tough spot for Buffalo and look for them to trade back. No other quarterback has established themselves as a top 10 pick, and the Bills aren’t a team that I would expect to reach for a guy here. While they could go receiver, that could be a slight reach as well. Realistically trading back is probably their best option, if they keep the pick I would expect them to go defense. Jordan is an excellent consolation prize for Buffalo as he gives them a potentially elite pass rusher to pair with Mario Williams. About the Pick: Cooper is the 2nd best guard in this class, but is still worthy of top 10 consideration. He’s a complete prospect, who offers immediate high level impact, and has a very small bust factor. Steve’s Take: The Jets could go in a couple different directions but it is tough to argue the value of Jonathan Cooper here. He would be a big boost to the offensive line and help both the running game and passing attack. About the Pick: Werner has had a strong year and has established himself as a top 10-15 talent in this draft class. He fits best in a 4-3 scheme, where he can keep his hand in the dirt. He has big upside as an edge rusher and should make an immediate impact in that area. He may struggle some versus the run initially at the next level, but should be an every down player fairly quickly. Steve’s Take: The Titans biggest need was guard, but they filled that in free agency. Now they should turn their attention on the defense. Either an edge rusher or defensive tackle would make sense. In Werner they are getting a guy who is a complete player and who should really boost their pass rush. About the Pick: Fluker is a rare case of a tackle who is the dreaded “right tackle only”, being considered for not just a top 50 pick, but legitimately a top 20 pick. He probably could never switch to the left side, but he offers big potential as a right tackle. He’s extremely physical and can just blow defenders off the line, with both strength and massive arms. Steve’s Take: The Chargers have to rebuild their offensive line if they have any hope of getting back into contention and getting Phillip Rivers back to a top level status. Fluker may not be the LT they are hoping for, but he offers a big improvement and start to their offensive line rebuild. About the Pick: Ansah is a very raw prospect, but he’s got extreme potential. He’s extremely athletic and has the potential to become a top notch pass rusher. He can fit in either a 3-4 or 4-3 system, but will probably need some development time before he can be a full time player. He should help early on though as a pass rusher, which gives him top 15 potential. Steve’s Take: The Dolphins could go a couple different ways with this pick, but assuming they have fixed their offensive tackle position (though there really isn’t anyone still left on the board if they haven’t), I think they will go with value. Ziggy Ansah could be the base end to complement Cameron Wake and give Miami another dynamic pass rusher. About the Pick: Jones is the best pure pass rusher in this draft class. He’s probably a touch below elite, but should still be considered a top level rusher. He should be good for double digit sacks each season, even as a team’s primary pass rusher. Jones also displays good instincts in run defense and in coverage. Steve’s Take: With the Jets taking over this selection they will decide from the top edge rushers still on the board. Jones is the best pass rusher still on the board and really should be going much higher, but concerns about his injury/workout could allow him to drop here. This would be a huge win for the Jets though they are likely to consider trade down scenarios. About the Pick: Lotulelei was at one time considered the top player in this draft. Though he was sliding before the combine a concerning medical report has his stock very much up in the air. If it checks out alright, he should still go in the top 15 picks. At his best he can fit in any system, and could excel at either a 0, 1, 3 or 5 technique. He’s a very good run defender who also gets a good amount of pressure in the backfield on passing plays. Steve’s Take: The Panthers defense has some really nice pieces, but they are lacking a true stud defensive tackle. A guy like Lotulelei could be great because he won’t allow quarterbacks to step up to avoid Johnson and Hardy rushing off the edge. A line that consists of Johnson, Hardy and Lotulelei should be a nightmare for opposing offensive coordinators, and represents the best defensive answer to stopping division rivals Matt Ryan and Drew Brees. As for the medical concerns surrounding Lotulelei, they appear to be a non-factor at this time. About the Pick: Mingo is one of the most disruptive pass rushers in this class, and has the ability to live in opponents backfields. He’s exceptionally quick off the edge and can give opposing linemen fits. He’s not as strong in coverage and against the run, but he should be able to handle his own. One concern is that the production didn’t always match the talent, but the upside is definitely there. Steve’s Take: The Saints clearly need some help on defense, and that starts up front. Yes their secondary has gotten torched some, but much of that has to do with allowing too much time in the pocket for the opposing quarterback. Mingo gives them a good edge rusher, who has great upside. While he alone won’t turn it around all on his own, Mingo would be a great start for the Saints. About the Pick: Vaccaro is probably the best and most complete safety in this draft class. He’s got very advanced coverage abilities, and shows good range and instincts. He’s also a big hitter and offers value as either a FS or a SS at the next level. Steve’s Take: With Jared Cook and Jake Long signed, the Rams will likely consider between a safety and a wide receiver. With two first rounders they can address both positions. Though there may be some temptation to go WR here, Vaccaro is the safer pick and the better value. Each time we update the 2013 NFL Mock Draft Headquarters, we’ll be moving the archived mock draft from the previous week to our NFL Draft Blog. 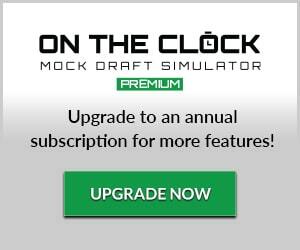 For the most updated 2013 NFL Mock Draft news, bookmark this page and make sure to check back right here.